We've been honoring our state's musical legends while serving up some it's best burgers since 2014. This is not a fluke. This is not a fad. This is the Lone Star Attitude. great burgers made by good people. Coined by Texas singer-songwriter, Jon Christopher Davis, Lone Star Attitude is an unwritten code handed down from generation to generation. It’s the pride that comes from a hard day’s work, doing the right thing and helping those in need. It’s sticking to your word and standing your ground. It’s honoring those who have come before us, while forging a new path for those who will follow in our footsteps. Lone Star Attitude is a killer burger and a cold beer, lovingly prepared with the best ingredients and served with Texas hospitality. It’s also our rich musical heritage, and that’s what we’re here to celebrate! You see, a lot of folks don’t realize that Texas has produced some of the biggest stars in the history of recorded music. 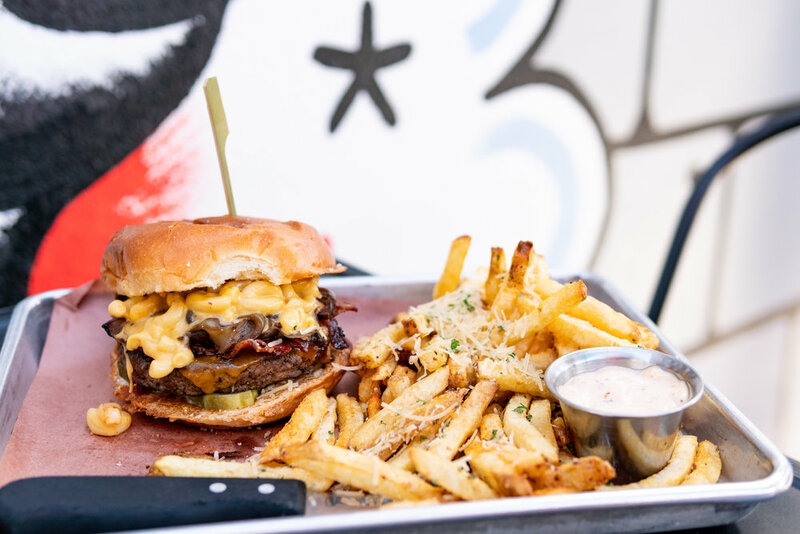 LSA Burger Co. is the first gourmet burger joint in Texas to honor our state’s musical legends and trailblazers – people that put the ‘tude in ATTITUDE. While your taste buds take a tongue-twisting tour, let your eyes and ears soak up our state’s eclectic musical culture.